Your side by side is a handy tool to have around, helping you run fence, check livestock, or getting you to your favorite hunting or fishing locations. With all the versatility that your machine offers you might find yourself longing for a helping hand when it comes to the organization of the cab and the bed of your UTV. Nothing is worse than trying to get to your destination and having tools bouncing around the bed of your machine, and not to mention the room some tools can take up leaving less room for others. 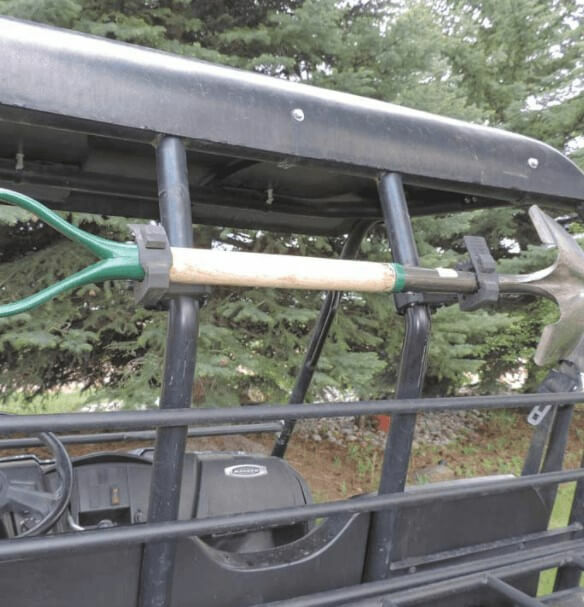 Here at Side By Side Stuff we offer you a solution with the UTV Roll Bar Tool Mount by Hornet Outdoors, and with this tool mount you�ll be able to carry more tools and stay more organized. Thanks to the team over at Hornet Outdoors, this tool mount is made with nothing but quality in mind. The included fast clamps ensure an easy and fast access to any tool locked in the mount, while creating a snug hold. 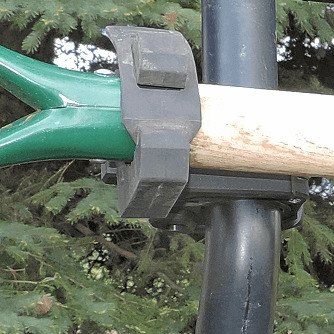 With the rubber construction you can be sure that your tools won�t get scratched or scraped by the mount, perfect for those more expensive tools. With the ability to move the mounts to multiple locations, this UTV Roll Bat Tool Mount offers a versatility like none other. 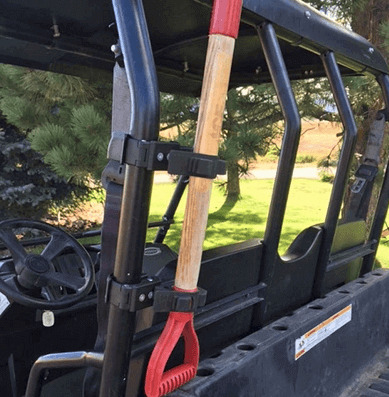 With the made in the USA quality and the ability to fit multiple sized roll bars, this UTV Roll Bar Tool Mount by Hornet Outdoors solves all your organization needs!